Nguan was born and raised in Singapore. He attended Northwestern University in Illinois and graduated with a degree in Film and Video Production. Nguan says his photographs are about “big city yearning, ordinary fantasies and emotional globalisation.” His first book, ‘Shibuya’ (2010), was named PDN Annual as one of the best of the year. His second book, ‘How Loneliness Goes’ (2013), was called “a masterful colour portrait of quiet urban lives” by American Photo. His photographs are in the permanent collection of the Singapore Art Museum. 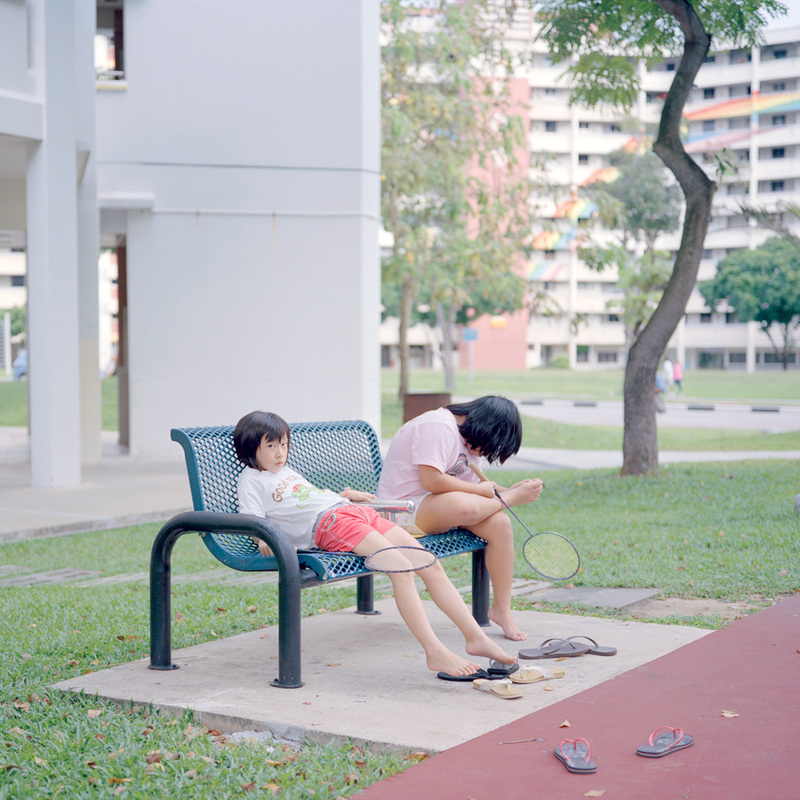 My “Singapore” series is an ambivalent portrait of the country. It began as a response to the prevailing notion of Singapore as a sterile place where all the ghosts have departed and “nothing is falling apart”, to quote a widely read William Gibson essay. In my pictures much is beautiful and much is broken, and the entire town is haunted. Do you have a favourite, and why? Yes, it’s the image of the housing estate with a rainbow emblazoned across it. I made the picture in 2008, on what happened to be America’s Election Day. I visited the same site on the same day this year, only to find that the rainbow has been painted over. Cities are my favourite music. I could listen to them all day long. When did you get involved with photography? I fell in love with photography during a spectacular blizzard in New York. I didn’t even own a still camera at the time. I ran out onto the street with a video camera, and because I didn’t have any spare cassettes, I put the camera to still mode. When I looked at the images that evening, I thought, well this is interesting: to see time unmelted instead of flowing, to feel snow instead of rain.